ATTENTION! If you or your pet has been bitten by a bat, please click here for instructions. Bat carcasses are an extremely important source of information! ADFG screens dead bats for disease and the carcasses are then sent to the University of Alaska Museum. Please contact us before handling a dead bat. We will respond to your call within 24 hours. 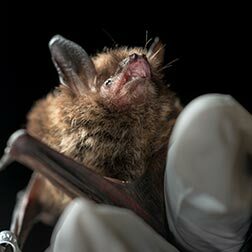 If you need to remove the bat before hearing from us, please visit the Sick or Dead Bats page for instructions. Your bat observations are important to us! Please take time to answer all the questions on the form. This form will take approximately 5 minutes to complete. Would you like to learn more about Citizen Science opportunities with bats? Check Yes to be added to our List Serve.